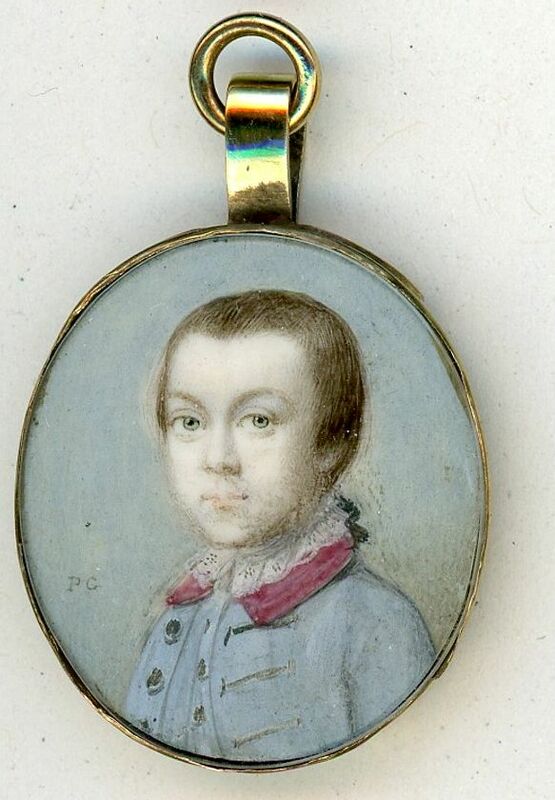 Part of a family collection, this portrait depicts George Anson Nutt as a young boy wearing a blue coat with a red collar, matching blue waistcoat and a shirt with a ruff collar. Born in 1750, George was the eldest son of naval Captain Justinian Nutt who took part in Anson’s round-the-world expedition. By the late 1740s Captain Nutt was an officer at Greenwich Hospital, and in 1749 married Elizabeth Cook who brought with her a substantial dowry. Their two sons were christened in honour of their father’s senior officers and comrades from the Anson expedition with Lord and Lady Anson and Sir Peircy Brett selected as godparents to George. Captain Nutt died in 1758 whilst his sons were still very young; their mother subsequently married Lieutenant Charles Bresson who spent most of his career on shore having lost a leg as a young man. 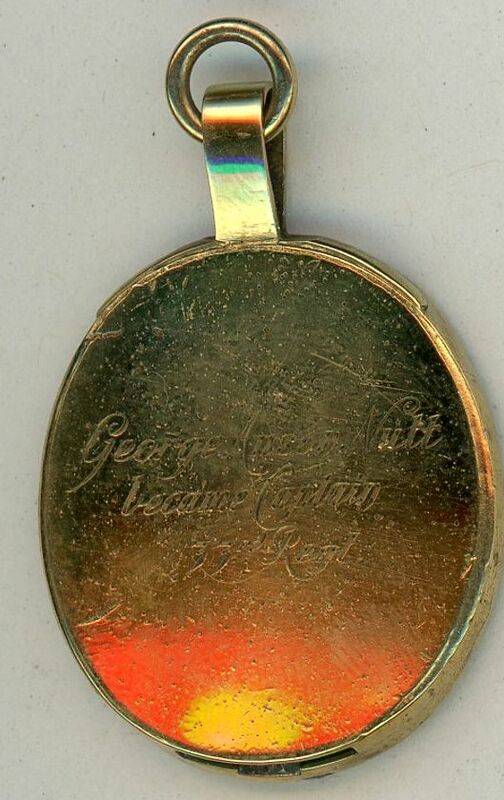 George went on to become a Captain in the 33rd (The Duke of Wellington’s) Regiment. He firstly married Mary Smith in 1793 with whom he had two sons and a daughter (her portrait is also available), and secondly Mary Tymewell Blake in 1793 (her portrait is also available). He died in 1841. 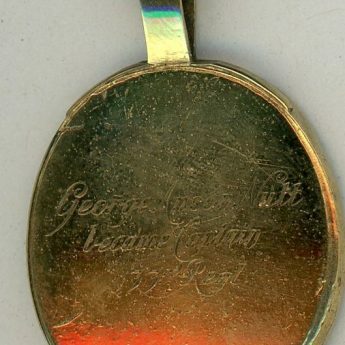 The portrait is signed with initials on the obverse and resides in a gilt metal frame later engraved on the reverse ‘George Anson Nutt / became Captain / 33rd Regt’. The eldest of six daughters, Penelope Carwardine (1729-1805), took up miniature painting to earn a living after her family were ruined by her father’s profligacy. In 1763 she married James Butler, a church organist, and thereafter ceased to paint commercially.